Discounts apply to direct website purchases by individual US customers only; all sales are final. 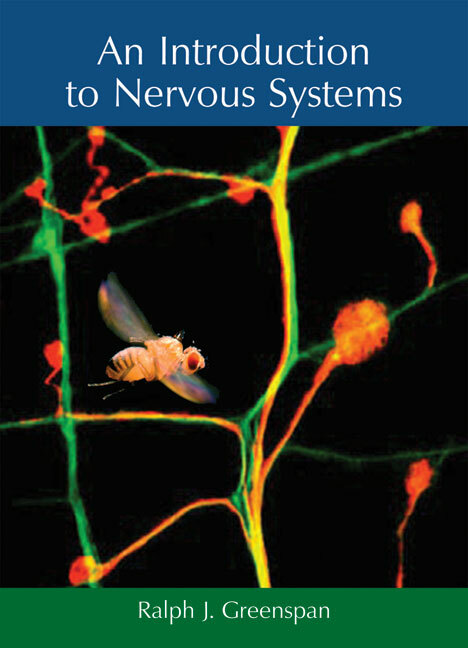 An Introduction to Nervous Systems presents the principles of neurobiology from an evolutionary perspectivefrom singlecelled organisms to complex invertebrates such as fliesand is ideal for use as a supplemental textbook. Greenspan describes the mechanisms that allow behavior to become ever more sophisticatedfrom simple avoidance behavior of Paramecium through to the complex cognitive behaviors of the honeybeeand shows how these mechanisms produce the increasing neural complexity found in these organisms. The book ends with a discussion of what is universal about nervous systems and what may be required, neurobiologically, to be human. This novel and highly readable presentation of fundamental principles of neurobiology is designed to be accessible to undergraduate and graduate students not already steeped in the subject. Introduction: What Are Brains For? 9. Are All Brains Alike? Are All Brains Different? ...an eloquent mixture of fundamental neuroscience and evolutionary biology.